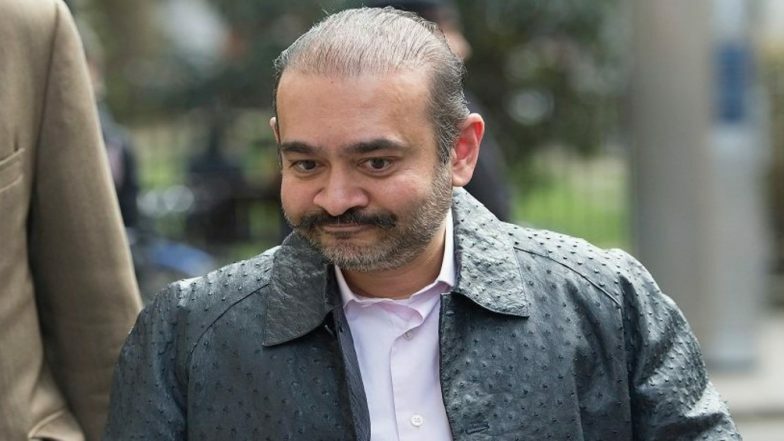 London, March 18: Fugitive diamantaire Nirav Modi is likely to face arrest, with a warrant against him being issued by the Westminster court in London, reports said on Monday. As per the production warrant reportedly issued by the court, Nirav will be produced before the bench on March 25. The legal action has been initiated against Nirav based on the complaint forwarded to the Westminster court by the UK Home Office -- which was sent a plea by the Indian agency - Enforcement Directorate, seeking provisional arrest of the absconding jeweller. The production warrant also comes over a week after Nirav was spotted in London, and approached to by the crew of UK daily The Telegraph. In the clip filmed by the reporters, the Indian fugitive was seen wearing Ostrich-Hide jacket worth nearly 10,000 pound or Rs 9 lakh. Nirav, along with his uncle and fellow diamantaire Mehul Choksi, is accused of defrauding the Punjab National Bank (PNB) - a state-owned lending entity - to the tune of nearly Rs 15,600 crores. Days before the scam came to light, in the last week of January, Choksi and Nirav, along with their families, fled from the nation. While the uncle has been traced to Antigua, Nirav was found to be London, residing at the plush Centre Point tower blank. He has reportedly launched a new diamond trading business, and registered a new number with the UK insurance authorities.